FSGenesis is offering 50% off everything at the FSGenesis Online Store. FS simVFR Asturias & Cantabria photo scenery and terrain mesh for FS2004 is now availalble to purchase at SimMarket. feelThere is offering 50% off on all Call! products. This weekend only, offer is valid until July 31st 2011. Carenado has released the Cessna C172N Skyhawk II for X-Plane. Details at the Carenado Website. Updated: Now also available at SimMarket and X-Plane.org. Animated sections such as: doors, pilots window, copilot seat, sun visor and fresh air control. Many details, such as: pitot pressure chamber, antennas, chocks, pitot tube cover. Custom panel and gauges. Realistic textures and original paint designs. Similar behavior compared to the real airplane. Akesoft has updated the preview page to the upcoming Foronda-X Airport (LEVT) for FSX and FS2004. The Airfield Construction Group has posted preview pictures from Duxford Aerodrome (EGSU) for FSX and FS2004. Jigsaw has created weathered cockpit textures to the A2A Simulations Boeing 377 for FSX. 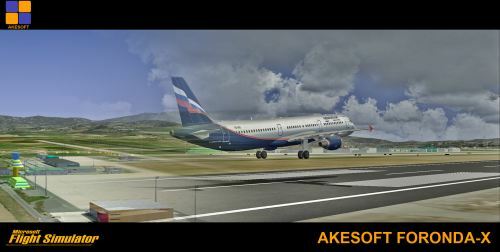 Angelo Tassoglou has released his freeware Kozani-Kastoria photo scenery for FSX. Download at AVSIM. Guess and Win the next Wilco Publishing Flight Simulator Title. Details at the Wilco Publishing Website. 1. GUESS the next Wilco Publishing title for Flight Simulator by looking at the 'work-in-progress' pictures below. 2. FILL IN our Contact Form with 'GUESS & WIN' as SUBJECT. The content must ONLY state G&W1 and your proposal (only one proposal per e-mail). No e-mail confirmation will come, no reply to questions. 3. Few days before the official announcement, the DRAWING will select 5 WINNERS among the right answers received. Winners' names will be stated on this site, product page. Just Flight is offering the download version of IL-2 Sturmovik: Cliffs of Dover at Half-Price. Valid until 9am on 1st Aug 2011. These Sale prices are valid until Monday 22nd August. 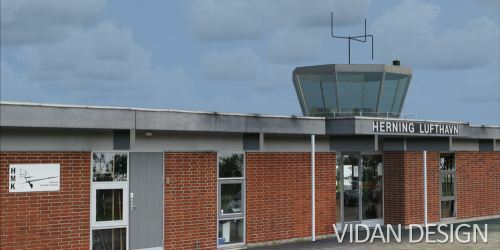 Vidan Design has posted the first preview images from Danish Airfields X Herning Lufthavn (EKHG) for FSX. Take On Helicopters Community Preview build 83244 is available. Note: Arma 2: Operation Arrowhead is required. TropicalSim has released Ponta Delgada João Paulo II Airport (LPPD) for FSX and FS2004. Golden Age Simulations has released the Lockheed Model 12 Electra Junior for FS2004. "On June 26 1939 the prototype Model 12 flew for the first time and in doing so became in icon of the Golden Age of Aviation. Lockheed built a total of 130 Model 12’s ending production in 1941. 75 years later Golden Age Simulations releases the Model 12 for Microsoft Flight Simulator 2004." IRIS Simulations has posted new preview images from the airshow series Pitts Special 'Prometheus' for FSX. Sim Skunk Works has updated the Lockheed F-104S Starfighter for FSX to version 3.0.2. Baja Sim has revealed their latest project under development, La Paz, Baja California Sur (MMLP) for FSX and FS2004. Aerosoft has posted two new preview pictures from the upcoming Corfu X (LGKR) for FSX. Aerosoft is holding a BeNeLux Weekend Sale with 20% off all scenery in The Netherlands, Belgium and Luxembourg. Bay Tower Studio has released the Van's Aircraft RV-7 Beta for FSX. Details in the Bay Tower Forums. SkyDemon VFR Flight Planner has been updated to version 2.2. More information at the SkyDemon Website. ESC Sceneries Design has released the Cities of Italy X Vol.1 photo scenery for FSX. Details at SimMarket. Holger Sandmann has posted KMZ map files for all Orbx FTX North America (PNW, PFJ, NRM, CRM) sceneries. FSDreamTeam (FSDT) has released version 2.0 of Zurich Airport (LSZH) for FSX and FS2004. "The update is free for anyone, and can be installed by simply downloading the new Zurich installer on the "Products" page. There's no upgrade patch, since almost all files have been changed, and there wasn't any significant size saving by doing a patch. It's suggested you uninstall the current version first, of course activation won't be affected at all. The next update will feature the new Terminal B, and will be released before the new Terminal will be operative in the real airport." from ParkMe/GSX, this will allow for better visuals, interaction and performances too. Orbx is offering a 15% off pre-pay special on Essendon Airport (YMEN) for FSX. Orbx has posted new preview pictures from the upcoming Fall City Airport (1WA6) for FSX. Navigraph NAVData AIRAC Cycle 1108 is now available for purchase at Navigraph or SimMarket. Aerosoft has released Keflavik X (BIKF) for FSX and FS2004. Details at the Aerosoft Webshop or SimMarket. New preview pictures from Beijing Scenery 2008 (ZBAA) have been posted in the FSDeveloper Forums. Warbirdsim has posted a promotional video from the P-51D Mustang Cadillac of the Skies Part 3 for FSX. Eagle Rotorcraft Simulations has posted a preview video from the Bell 206B JetRanger III for FSX. Robert S. Randazzo from PMDG has released details on the pricing and liveries of the 737NGX for FSX. PMDG 737NGX ER Package: TBA ETA: 4-8 weeks after 6700 Contains the all 737ER variants. PMDG 737NGX BBJ Package: TBA ETA: TBA Subject to interest Contains BBJ/BBJ2 variants. PMDG 737NGX Mil Package: TBA ETA: TBA Subject to interest Contains the P-8 and "Wedgetail" variants. Nick from Angle of Attack is previewing the systems depth of the PMDG 737NGX for FSX. Aerosoft has released German Airfields 11 Südbayern (Southern Bavaria) for FSX at the Aerosoft Webshop and SimMarket. Landing T´s according to wind direction, animated windsocks etc. Szabo Tamas has released his freeware Kalocsa (LHKA) and Szeged (LHUD) VFR sceneries for FS2004. RealScenery has posted ocean texture pictures from the Northern California scenery for X-Plane. New preview screenshots from the MilViz F-15E Strike Eagle for FSX have been posted at Sim-Outhouse. Onet Valley has released Yangon Intl. Airport (VYYY) for FS2004. Now available to purchase at SimMarket. LLH Créations has posted new preview pictures from the upcoming Annecy Meythet Airport (LFLP) for FSX. Orbx has released the long-awaited Diamond Point Airport (2WA1) and Olympic Field (WA45) for FSX. Made by the YHBA/1S2/3W5/KORS team! Orbx has released patch version PNW.004 to FTX Pacific Northwest for FSX.